NEWS FLASH: Our Apple Honey No Wheat flavor now comes in a new Training size! 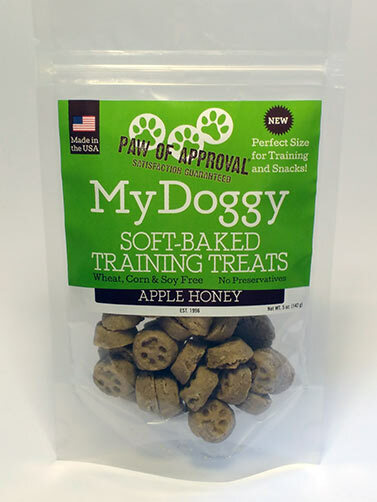 NEWS FLASH: Our Apple Honey No Wheat flavor now comes in a new Mini size Training Treat! This now comes in 2 sizes: a cute 5 oz bag you can take anywhere and a 5lb bulk back to always have a great supply at home. 1 of 3 of our top flavors (spoiler alert, peanut butter & cheesy are also part of this esteemed trio) that has been miniaturized, our apple honey no wheat Training Treat is a perfect bite size morsel. How can you use this? The possibilities are infinite! A few tried and true suggestions are as a training treat and/or snack. 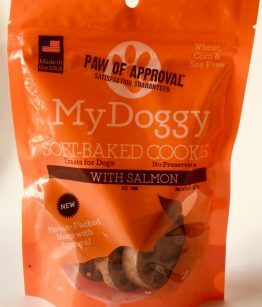 Your dog will definitely want you to experiment as much as possible with our tasty treat! Great to hear your lab enjoys these! Thank you for your order and business! I was given these as a gift by a dog Mom with 2 golden retrievers. My German Shepherd LOVES them! He will reject other treats until we offer these up! He also has a very delicate tummy. These treats don’t cause any problems and are Fantastic. 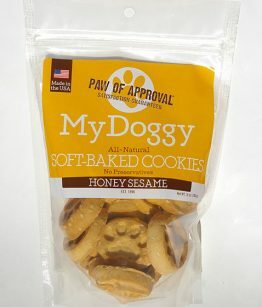 Please try them, your dog will love them. Thank you so much for your comment! Glad to hear our treats work so well for your dog. Take 5% off your first order with coupon code: winter2019. Ingredients: Rye Flour, Honey, Apple, Palm Oil, Eggs, Natural Apple Flavor.